Portable and folding handle makes storage and carry much easier. 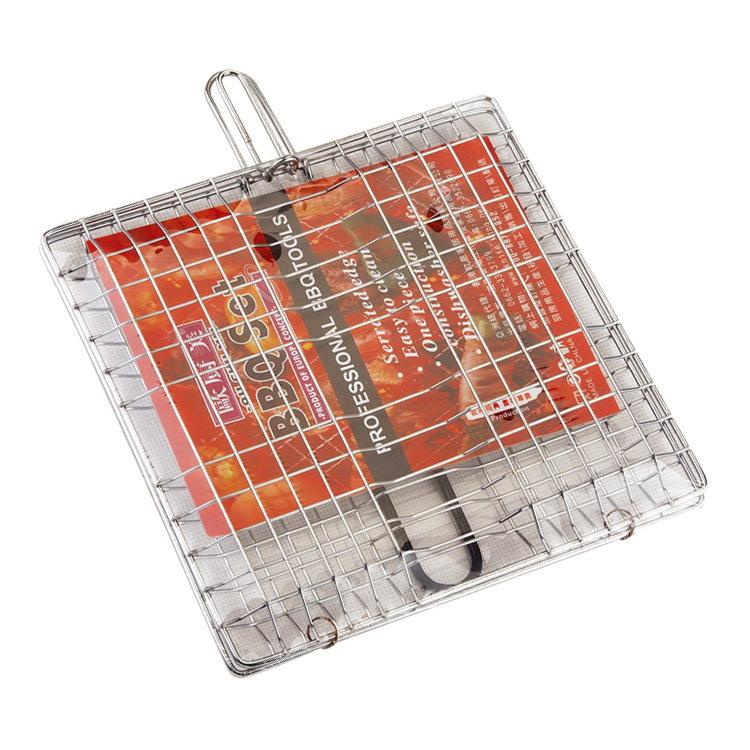 The grid gaps are perfectly sized to provide even heat distribution while preventing small pieces of foods from falling through grill grate.The bbq grill gate is big enough to grip on mass fish or meat.Folding the handle ,you can take this Grill Basket everywhere !Every suitable for camping, picnic,ourdoor party !The best gift for barbecue master ! Looking for ideal Portable Barbecue Grill Basket Manufacturer & supplier ? We have a wide selection at great prices to help you get creative. All the Stainless Steel Bbq Grill Basket are quality guaranteed. We are China Origin Factory of Barbecue Grill Folding Basket. If you have any question, please feel free to contact us.